The Lodge at Lochside, Lintrathen is set in picturesque scenery amongst the Angus foothills. 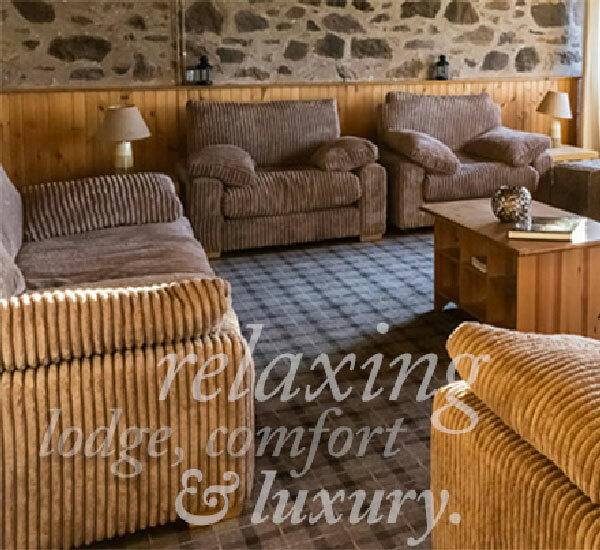 The Lodge sits beside the stunning inland loch within Lintrathen Nature Reserve, a fabulous destination whether you want to explore the magnificent Angus glens and surrounding countryside, or simply relax with great food in good company. Our accommodation is warm, welcoming, luxurious and relaxing with all of the modern amenities that you require and more. We aim to offer a congenial atmosphere and a genuinely warm, friendly, hospitality. Set in an unrivalled location with stunning views, the Lodge at Lochside has six double bedrooms, all en-suite. Rooms to suit all budgets are available, from our cosy, budget rooms to our more spacious family rooms. The Lodge is equipped with a fully equipped modern kitchen and a large private guest lounge. It’s the perfect place for a relaxing getaway, a special anniversary or party, for catching up with family and friends or for a romantic break. Whilst the Lodge is pet friendly, our two budget rooms are unable to accommodate four-legged family members. Pet friendly rooms available from £70.00. Please call in advance for availability. Room rates are available from £50 to £95 per night with breakfast. Exclusive use of the lodge is available from £350 depending on season with week rates from £850. Please get in touch to check availability and ask about our rates and special offers for families and groups. Welcome to the Lodge at Lochside. Welcoming, Warm, and in a great location only a short drive from Dundee. Can't wait to go back. We simply Loved being at the Lodge At Lochside for our big family reunion. We loved our Magical and unforgettable experience. If you would like to make a reservation, enquire about availability, or if you would like more information about the Lodge please get in touch.